At the second concert of the autumn season of “Virolainen musiikki soi”-series, the renowned jazz trio Peedu Kass Momentum takes the stage. Peedu Kass Momentum is a jazz trio, the music of which has edge, pace, and finesses. It is a clear sounding crisp Nordic contemporary jazz that is full of rhythmic intensity. The trio’s jazz magic is created by the band’s founder and bass player Peedu Kass, internationally acclaimed pianist Kristjan Randalu, and sought-after drummer Toomas Rull. The trio has made music together for over five years and performed at festivals from Canada to Siberia. In 2015, they were the first Estonians to perform in the official programme of the world’s largest jazz music fest Jazzahead. 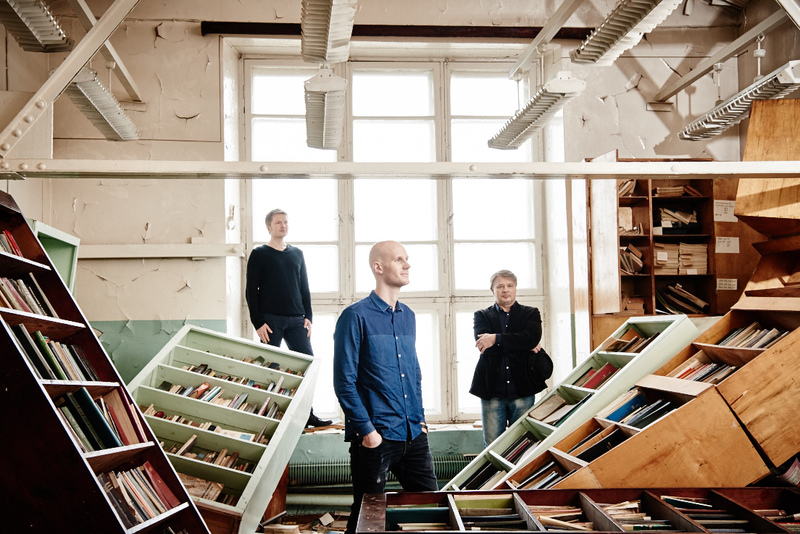 This year, the trio earned the title of Estonian jazz ensemble of the year. Estonian Embassy in Helsinki, Tuglas Society, Union of Estonian Societies in Finland, Viljandi Friends Society.